“Seeing the vans arrive and all the wonderful things being unloaded and then built into something beautiful on their stands is a real buzz: we can’t wait.” These are the words of Richard Burgoin, director of Arthur Swallow Fairs, when talking about his ‘summer of salvage’. 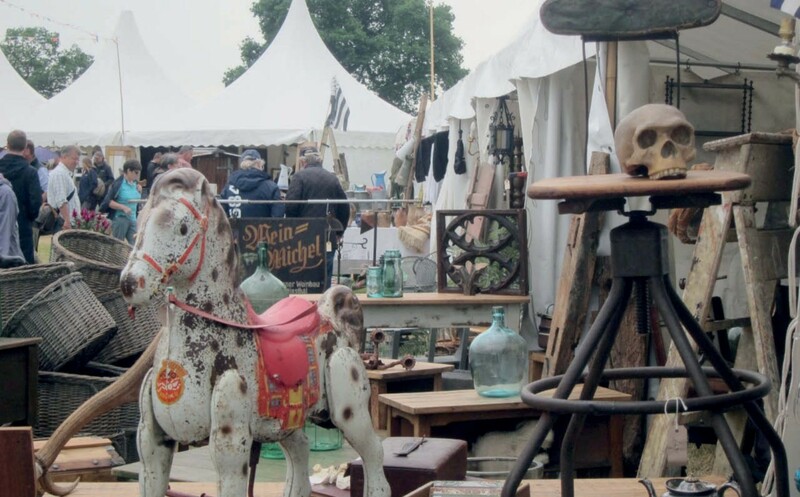 A scene at one of Swallow Fairs’ home and salvage shows held in the summer at Loseley Park, near Guildford, Surrey. Swallow's series of three-day Decorative Home and Salvage Shows held at Ripley Castle near Harrogate, the Cheshire Showground – both of which have run for five years – and Loseley Park, near Guildford, which launched in 2014. Exhibitor numbers are capped at 100 at all three venues. The first of these fairs kicks off in mid-May at Ripley Castle on Friday to Sunday, May 12-14. Ripley Castle is a Grade I-listed 14th century privately-owned country house and has been the seat of the Ingleby family for more than 700 years. Its colourful history includes the second baronet William Ingleby (1783-1854), described as a great eccentric, drinker and gambler who was the MP for East Retford in Nottinghamshire from 1807-12. Ingleby demolished and rebuilt the village of Ripley, complete with a French Gothic Revival-style town hall. The Cheshire Showground event is June 9-11 and Loseley Park from July 14-16. The trade can register online at the website below by clicking on salvage shows, then ticket registration.